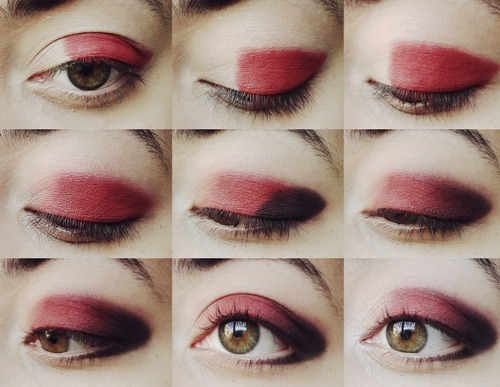 Red Eye Makeup has become quite a trend these days. People have really started to experiment with this beautiful color and we can clearly see the results in magazines, television and newspapers. 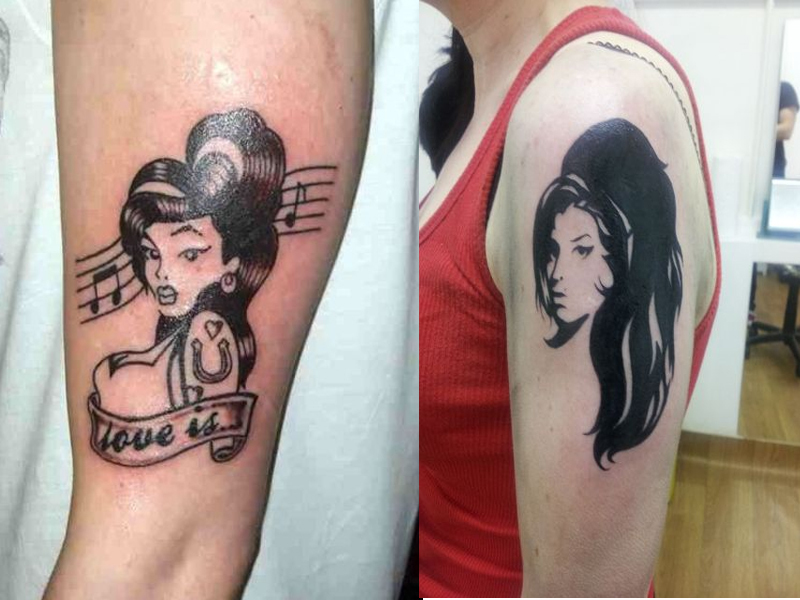 Everyone seems to be in love with it. 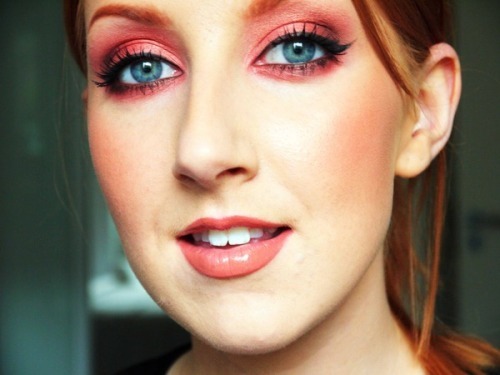 Therefore we have come up with an effective red makeup tutorial just for you. 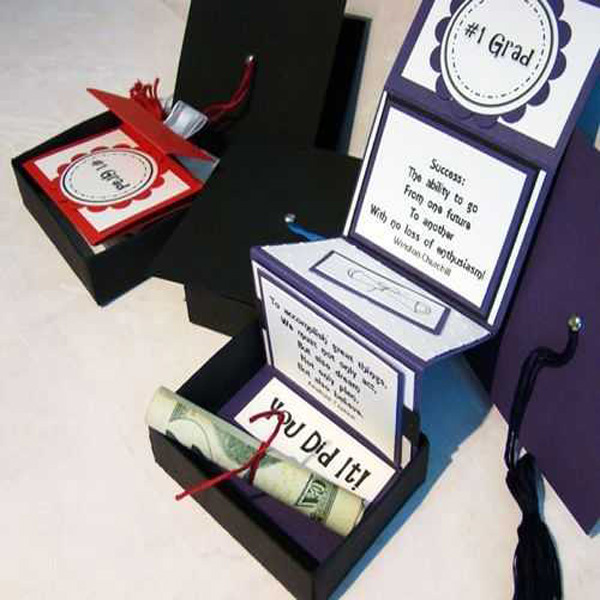 For this you will need your red and black eye shadow. First, take some red paint your eyes with the brush. Leave out the area near the corner. Now apply the black eye shadow there. After you have done this, start to blend the colors. Don’t spread it too far. You will be surprised how great it will look in the end. 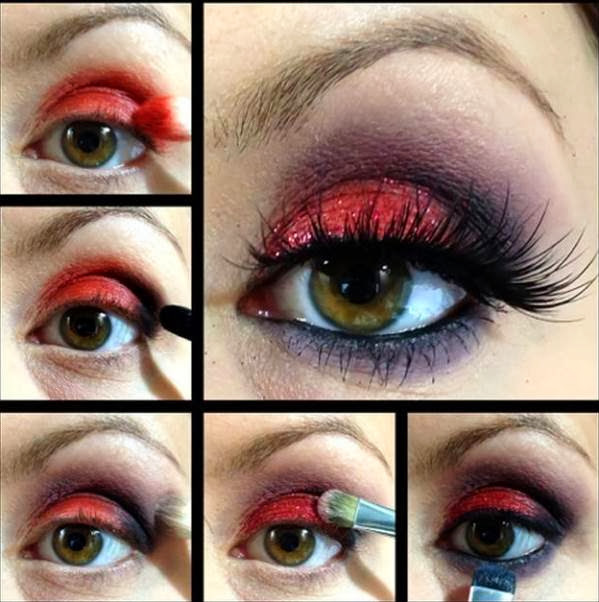 To get yourself a nice party look use red and black eye shadow. Make sure you are applying kajal on your lower eye as well. Try to create a smudgy look on top as well as below the eye. Make it as thick and as heavy as possible. Don’t let to over spread. 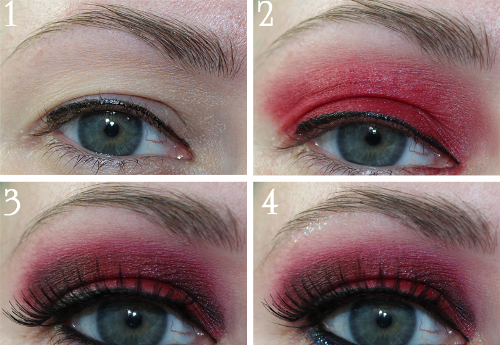 To get the evil shades of red design, apply some red color above your eye lids first. 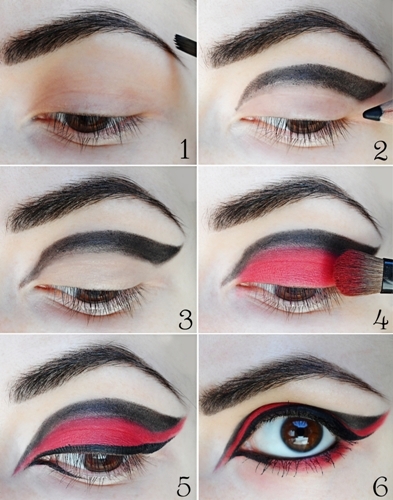 Then use a darker shade of red on your eye lid. Now take your kajal and border the end of your outer eye. 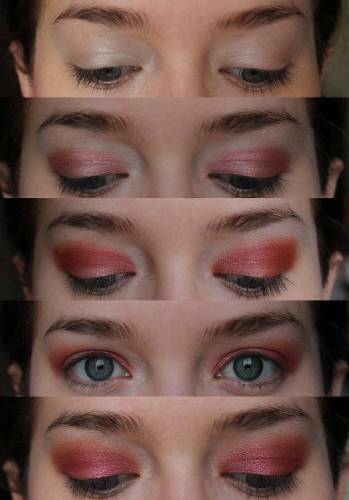 Now blend both the shades of red but in a very gentle and smooth way. You will get amazing results towards the end. Apply a simple base on your eyes first so that the makeup can last for long. Now take some red eye shadow. Start applying on both your eyes until its deep and red. Don’t overdo this however. Make sure you are designing this well. You can also use some kajal for highlighting. For this kind of makeup, you will need some red eye shadow and liner. You can also use some good glitter but again, that depends on your choice. Paint the eye shadow properly on the eyes. Make sure you are making an oval shape. Now take your liner and create a nice and smooth whisk. 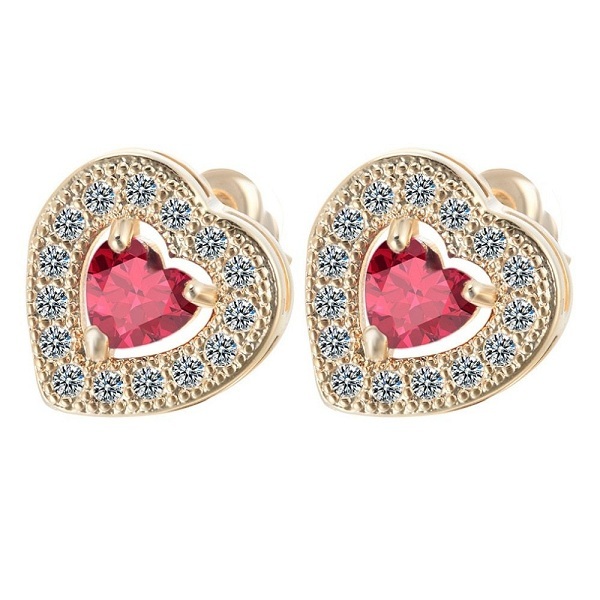 Glam it up with glitter. To do the water of mars, you will need to apply the eye liner first. Let it dry. 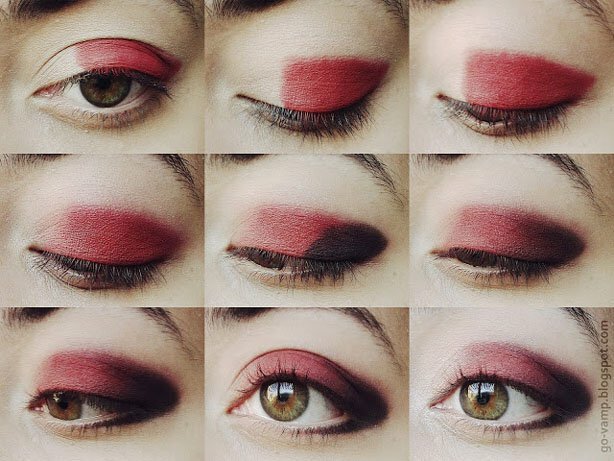 After that paint your eye lids with some red shadow and try to create a smudgy look around it. 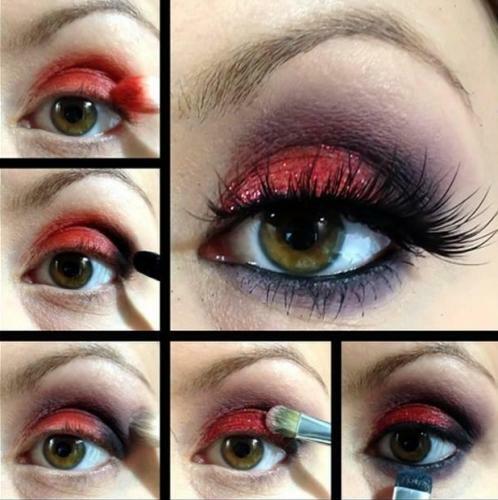 Use some black eye shadow on top to blend it. Apply kajal towards the end to make it look attractive. For this you will simply need to paint your lids in a stylish manner. Draw a simple border first and then fill it up. Make sure the strokes are smooth and done with great precaution. Don’t change the pattern of the strokes either. 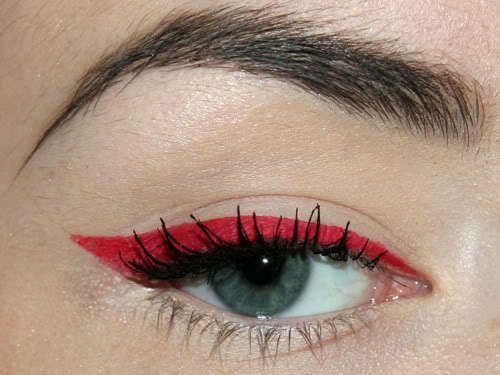 For this design, use a smudge-free kajal and create a wave on top of the eye lid. After this, paint the rest of the eye lid with red eye shadow. Use kajal again on the lower eye and border it with red. Your Red Eagle eye will be ready. For this you will need to paint your eyes with white eye shadow and then use some liner. 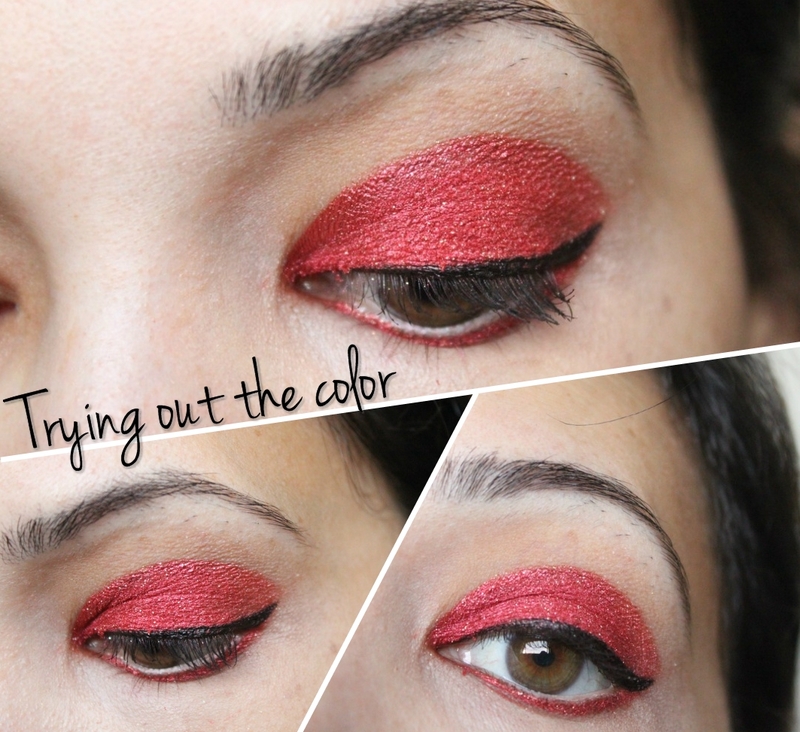 Create a thick red border below the eye as well as on top. Blend with some black eye shadow and your creative red eye will be all set for the night. 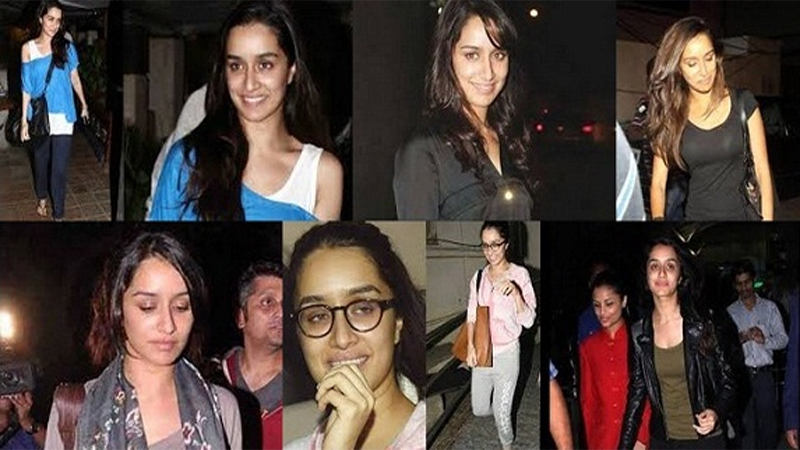 ← Previous Story How to do Kareena Kapoor Inspired Eye Makeup? Next Story → How To Pick The Right Colored Eyeliner For Your Eye Color?